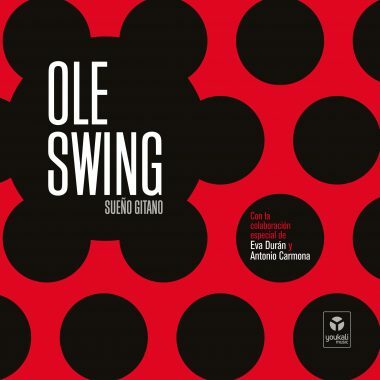 OLE SWING have done it again. If yesterday they dazzled, today they amaze. That unusual and exciting exercise of style that was their debut “Swing Ibérico” has become an unstoppable party, without space-time limits. A “SUEÑO GITANO” of pure joy that is unleashed invoking the spirit of Duke Ellington, and rises to infinity intoxicating with rhythm and Parisian glamour the very essence of “María de la O” (shuddering Eva Durán on vocals), “El Relicario”, “Mi Jaca”, “Sevilla”, “Recuerdos de la Alhambra” and other inmortal melodies of the Spanish musical soul.